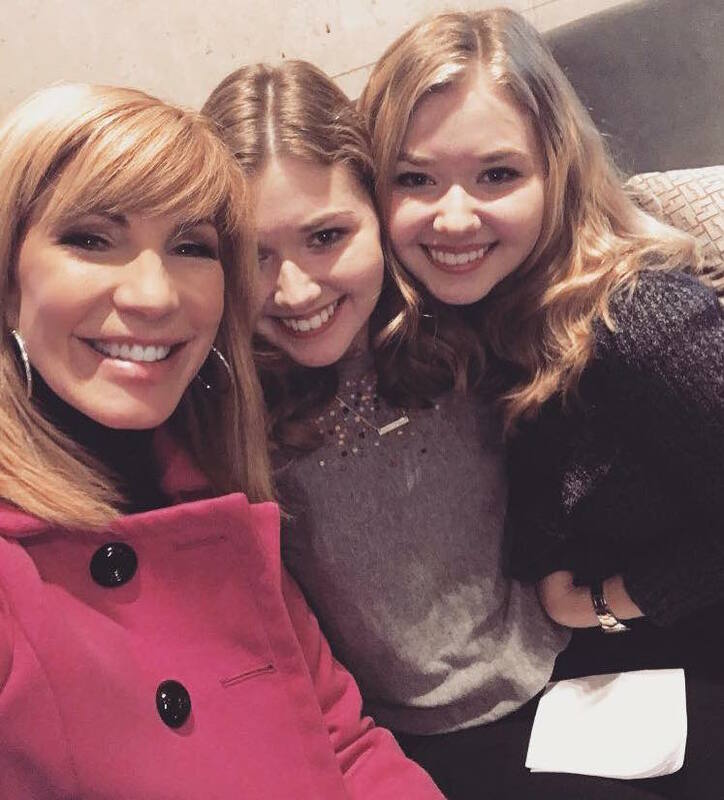 Leeza Gibbons is the kind of person who you want to ask for advice—and not just career advice, though she is a iconic journalist, and we are journalism students—life advice. After all, her ability to handle any situation thrown at her with grace and integrity is what earned her the title of Donald Trump’s Celebrity Apprentice in 2015. Leeza has this aura about her that makes it so not only do you want to ask her for this kind of advice, but you actually feel like you can. We cover everything from studying abroad in college, to navigating the tumultuous world of journalism, to dealing with internet trolls before we realize that it’s already five minutes past the time we had been given to do the interview, and we have yet to ask Leeza a single question. At least, not one we had planned to ask beforehand. “Are we getting too sidetracked?” we ask at one point, worried we are taking up too much of Leeza’s time, to which she replies with a quick and sincere “no” before finishing with one last anecdote and a laugh. We are already feeling inspired, and there is so much more we want to know. So we began the interview, officially. Cailin: I want to start by talking about the organization you partner with, Senior Helpers, because I know it’s for a cause that’s close to your heart. Could you tell us a bit about the organization and your personal connection to it? Leeza Gibbons: Yes! Thank you for that question, too. I developed a passion for educating families about issues with aging parents when my mother got Alzheimer’s disease. She died in 2008, and my grandmother also had Alzheimer’s disease. I think when we are little girls growing up, we think our parents are going to live forever, and my mother was just my absolute best friend. My Granny and my mom were really the hallmarks for the kind of woman that I wanted to be, and that I hope I become and am becoming. I’m from South Carolina and my parents have been just the greatest inspirations in my life. I think that, for those of us who can say that, that’s such a blessing, so when you get to a place where your parents become older, it’s such a gift to think that you can then give back to them some of what they gave to you. Leeza and her mother. 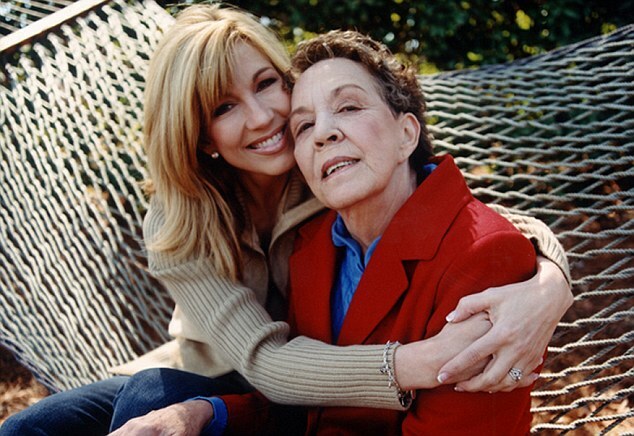 Photo courtesy of Leeza Gibbons, LeezasCareConnection.org. For me to be in a field where I can help inform families of dignified choices for parents as they get older, that’s just very meaningful to me. SeniorHelpers.com is one of the world’s biggest providers of in-home care companions. My dad had a heart attack less than a year ago—so he had open heart surgery and then he had colon surgery—and he lives by himself … He wanted to go back home and live independently, but he couldn’t really do that. So we used Senior Helpers as a resource to have a care companion come and help him drive a little bit, help him with his medication, help him with his meals, so that he could still be independent. It just became such an advantage for him. They’re also the authorities when it comes to Alzheimer’s and dementia. One in three seniors will have some kind of memory challenge, so it’s really important to hire people who have specialty in that area. That’s why I partnered with Senior Helpers. Cailin: How is your dad now? Is he doing better? Cailin: He’s got his own life! Leeza: Yeah! He has his own life. He’s busy! He’s just not that stereotypical old man. Leeza: He’s definitely my hero! Leeza and her father, Carlos. Cailin: I think that one of the reasons why so many people are touched by your story is that it’s so easy to … Even if you haven’t experienced it yourself, it’s so easy to put yourself in the position of someone who’s worried about somebody that they love, and who just wants to do everything that they can to be there for them. A lot of times people who are close to someone with Alzheimer’s or anything else like that end up feeling this sense of guilt when they can’t be physically there all the time, whether it be because they’re at work or they’re away at school or they’re caught up in their own lives … What would you say to someone who is dealing with that guilt? Leeza: Well, guilt can be your constant companion, whenever anything like this happens. But I think that guilt implies that you’re doing something deliberately to hurt the other people or other person. And I think when you have honest conversations and when you can really be open with your loved one, which is hard for us culturally because we tend to ignore issues of aging, it’s much easier. Chances are that your loved one doesn’t really want you around all the time, either, you know? Because then they feel guilty. They want you to have your life, too. That’s why I think it’s really great—if you can afford it, and I know it’s not a resource that everyone can afford—to maybe have a peace-of-mind visit, for someone to go check in on your mom or dad. Or maybe you have a relative or a neighbor who could, so you don’t need to pay for someone to do it. The idea is just to create some sort of a support system. But the guilt thing is easily dealt with as long as you … All you have to do is ask yourself, “Am I doing everything that I can, and taking care of myself?” That’s a lot of what we do at our foundation, is help the family members realize that—you have a life, you’re entitled to your life, too, and there’s a way to manage all of it. It’s not easy, but you can do it. Cailin: You have this motto that I love … You say, “Take your oxygen first,” and “Remember to breathe,” and I just find that really inspiring because you can use that in many different obstacles in life. Cailin: You always seem to me to be so level-headed and centered, and I’m just wondering … When you get overwhelmed by something, or really stressed out, sometimes it can be difficult to remember to breathe. What do you do? Leeza: Sometimes, we take shallow breaths when we freak out. Our [My foundation, Leeza’s Care Connection’s] mantra is, “breathe, believe, receive”. It’s so simple, but it’s so hard to do. If you can just take ten breaths, it’ll slow down your heart rate, it’ll slow down your digestion, and it will allow you to kind of regain control of your emotional state. And that’s when you realize that—Oh! I can handle it. Remind yourself that you can handle it, that you can manage most things. But the believe part is really important, too. Believe that you’re going to get through it, and believe that there are other people out there that can help you. That’s where the receive comes in. You know, whether you’re a person of faith or not, if you open up and kind of let go of your need to control everything, and open up enough to receive the help that others want to give you, there’s strength in our limitations. That’s a hard thing for people to recognize—that we are only as strong as we can recognize our limits. That’s why I say, “CPR can save a life, but BBR—breathe, believe, receive—can save your life too!” So I’m always trying to remember to just slow myself down. We all kind of have to talk to ourselves sometimes, and get ourselves out of those panics that we all wind up in. Hannah: [laughs] …No matter the circumstance. What advice would you give to young people and anyone who is trying to stay on their own path and avoid getting dragged down by negativity? Leeza: There’s always going to be drama kings and queens out there competing for your energy, and it’s a trap. It’s always a trap to get sucked up into that. When you recognize that that’s somebody else’s neediness of taking their emergency and making it yours … When you’re in an office setting, or a school setting, or a work setting, and you’re allowing yourself to get swept into their jetstream, you’re kind of admitting your own incompetence, or your own weakness, or your own vulnerabilities, because you’re giving your strength away to them. Just deciding to be separate and apart from them is really standing on your own. Your silence speaks a lot. It’s not being timid, it’s really being stronger by just staying separate and apart from that pack. Usually what happens when you let the drama build and build and build without you being apart of it, that energy will combust. It will create a steam, it will all blow up, and then it’ll dissipate. If you just watch it and let it happen, it always happens. And it doesn’t take long, so you can just kind of enjoy the show. I talk a lot about don’t be a spectator in your own life—that’s the one time where it’s okay to watch from the sidelines. You can always kind of see it happen, like “Wow, there they go”! You don’t have to judge. You don’t have to be holier than thou or anything about it—just kind of wait it out. People will try to sweep you in, and when they ask your opinion—“What do you think/Can you believe it?”—you can say very neutral things like “Wow, look at that”, or something very non-committal, like “Wow, no I can’t!” I don’t think you always have to go there. Hannah: We’re in college now and we’re realizing more and more that when it comes to drama, high school really never ends. Cailin: I could believe that, though. 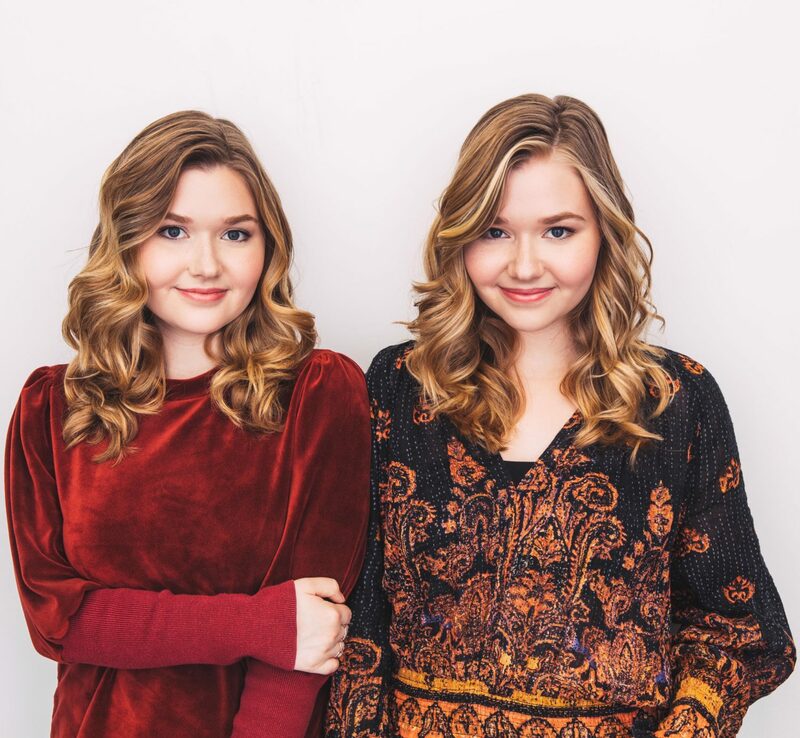 Hannah: A few years ago you did an interview called Unscripted With Leeza Gibbons, and said something that really stayed with me…basically, that your time is a gift, and if you find that you’re surrounding yourself with the wrong people, you need to have the courage to edit that group. How do you know for sure when it’s time to edit that group? Leeza: They’ll show you. You know how they say, “When people show you who you are, believe them?” They’ll show you. Right? You will have something that you’re interested in doing that’ll be good for you, and they won’t be there with you. They won’t be interested in helping you. Or they won’t be happy for you. There will be a moment when they will show you. Hannah: You’re known for defining “the new nice” in a world where sometimes the goal of winning seems to come before kindness. When I think of you and this idea of “the new nice”, I think of your display of grace under pressure, like on The Celebrity Apprentice. What is “the new nice” to you? Leeza: “Nice” is misinterpreted as having no backbone. “The new nice” is competitive, it’s strong. People who are nice are winners—they want to win—and they are certainly capable of competing. But they don’t need to sabotage. They don’t need to trip somebody else up to get to the finish line. They’re very capable of winning on their own accord, without having to contrive a way to compete. They can compete with their own talents and skills. I think that if there is a “new nice”, it’s a category that wants to take other people along with them. If you’re strengthening your strengths, then you can certainly allow other people to strengthen theirs too. It doesn’t take anything away from you to not only let other people shine, but to find ways for them to shine, as well. I think that only makes you better. That’s really what I’ve appreciated about the mentors in my life, and the leaders that have brought me along in business, and in life. The people that I really look up to have never been hesitant to encourage me, and to want me to really succeed—and that’s never taken anything away from them succeeding. You know, they’re like hugely successful people that have never worried about what I’m doing in my life, right? Cailin: Everyone can win! It’s not a contest! This is so beautiful. Thanks for sharing.